The Andrea is a gorgeous layered lace gown that will hug your curves, while the plunging sweetheart neckline features a lace illusion detail. The ribbon belt accentuates your waist, while the beaded embellishment adds a touch of glamour to this elegant design. 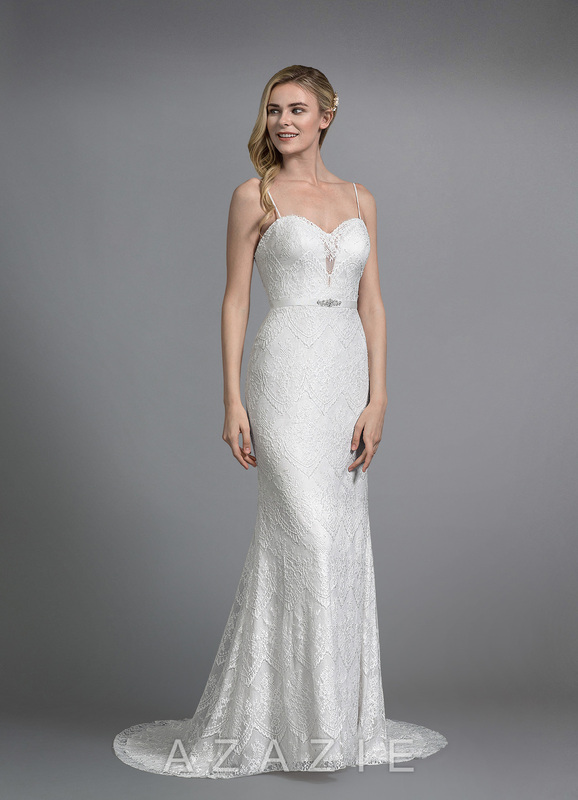 This gown also comes with delicate, detachable straps that give you even more options when it comes to styling your unique bridal look. Available in full size range (WD0-WD30) and in custom sizing. I really liked this dress except the bust was too large. It fit well other than that. Also, it would slide down when I would put my arms up so the straps were awesome! Great dress overall however.